Former United Nations Secretary General, Kofi Annan has revealed his undying love for Zimbabwe saying the country was unfortunate to go through an authoritarian rule marred denial of citizen rights, violence and intimidation in the process losing its economic status at the continental stage. Speaking at the ‘National Citizens’ Manifesto Convention’ in the capital today, Annan who is also part of a group of the Elders Council currently in the country for a fact finding mission ahead of the July 30 polls took Zimbabweans down memory lane from the time he visited the then flourishing country saying, a sharp contrast to the obtaining situation which is marked by struggling economy. “Zimbabwe was then, and remains a very special country, close to my heart. “The population’s human rights were increasingly denied. Elections were marred by intimidation and violence. Zimbabwe’s economy shrank by half. It lost its status as “the breadbasket of Africa. “It stopped attracting talent and capital from all over the world. Instead, millions of the young and talented left the country, feeling repression and poverty,” said Annan. He denounced the idea of giving too much power to one person which he said was a recipe for disaster. The Ex UN Chief called on citizens to participate in the governance of the country for the protection of the tenets of democracy. He expressed delight in the Citizens’ Manifesto saying it pursues active participation of citizens in their country much more to secure democracy and national building. 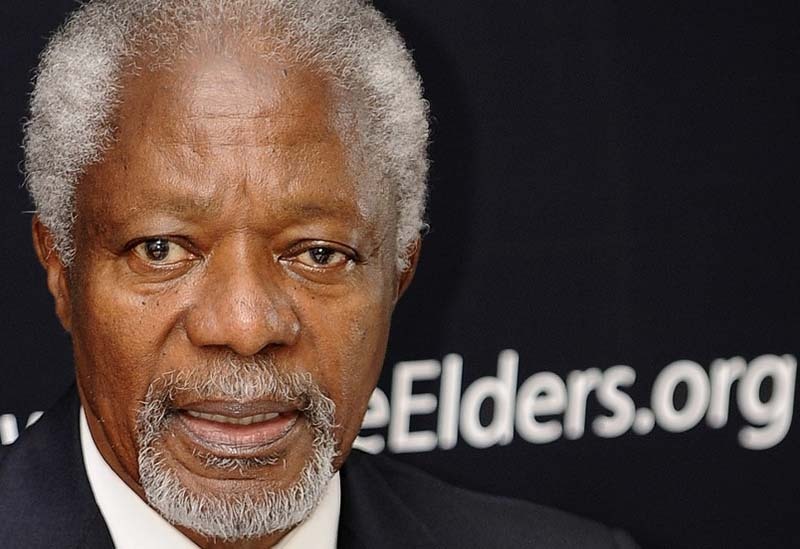 Annan urged citizens that for democracy to flourish, ‘a country needs not just elections, but also the separation of powers, the rule of law, respect of the constitution and the enjoyment of the fundamental freedoms. “These pillars are interconnected and interdependent for there can be no long-term security without development, and there can be no long term development without security. And no society can long remain prosperous without the rule of law and respect for human rights,” he said. He urged citizens to make use of the obtaining political environment by going out to vote in numbers saying the invitation of international election observers to Zimbabwe for the first time in two decades is an indication that a new hope is on the cards. “The fact that, for the first time in many years, international observers, as well as the Elders, have been invited, all these are signs that, from the Limpopo to the Zambezi, a new spirit of freedom is in the air,” added Annan.